In Jerusalem there are subtle waves of change reverberating through the streets. 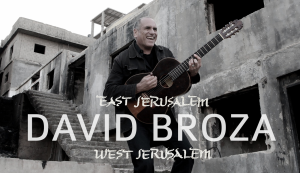 One such person, who wants to sustain and increase this momentum of change is David Broza. 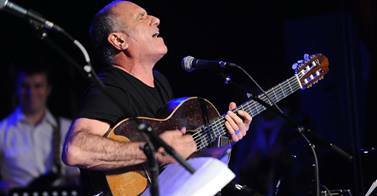 Mr Broza, 58, is an Israeli singer-songwriter, who has performed in Hebrew, Spanish, and English for nearly four decades (Rudoren 1). His latest project takes place in the forlorn Shuafat Refugee Camp. The goal of the project is to introduce music as an outlet for young Palestinian boys (ages 5-15). However, it is not a place where some people willingly visit: “Few Israeli Jews visit Shuafat, a garbage-laden, outrage-filled, crowded outpost in the northeast corner of Jerusalem with 35,000 residents, most from families displaced around Israel’s establishment in 1948” (Rudoren 1). The reluctance is mutual for some. Some Palestinians object to the fraternization with Israelis because it is considered to be “normalization.” Essentially, some Palestinians feel that if they mix with Israelis, the Israelis will try to diminish their cultural heritage. Mr. Broza is no stranger to Shuafat. He first visited the camp more than a year ago to record a song on his latest album, “East Jerusalem/West Jerusalem,” with the hip-hop duo, G-Town. However, for the past eight months, he and an Israeli body-percussionist have been leading the workshops in an effort to bridge the Arab-Jewish divide (Rudoren 1). Broza explained that bridging the gap is a two-way street, “‘We’re being tested also,’ he added. ‘It’s jungle life here. They don’t know if they can trust me. Why am I coming, why didn’t I come before? Coming one time, two times is still iffy. But when you start coming seven times, eight times, you build the trust'” (Rudoren 2). Both parties needed to establish trust and loyalty before they could start to bond and make music.